Our mission is to disrupt the snacking market with nutritious, healthy fat substitutes to promote and impact healthy living. We are dedicated to improving human health, positively impacting climate change and connecting with avocado lovers to share the power of mother nature's perfect food! We are a family-owned business that is committed to sharing the good fat snack. All of our snacks are made from 100% real Hass avocados. 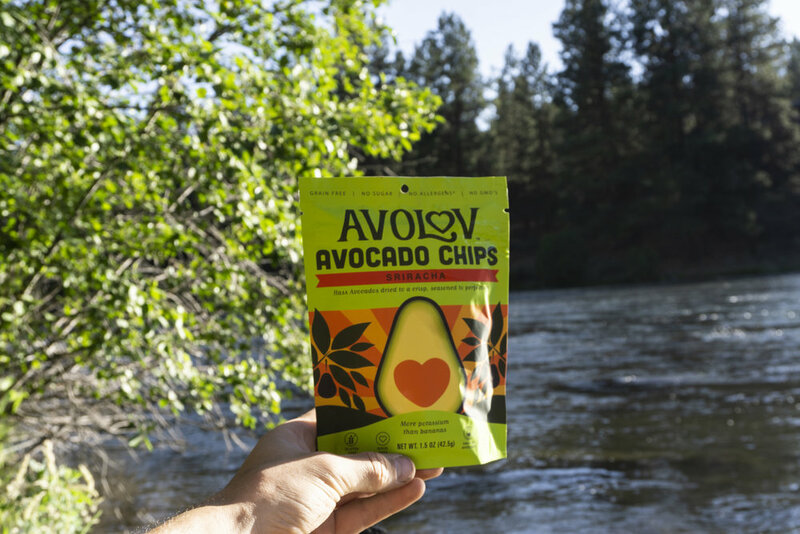 AvoLov contains all the goodness of Avocados, and is the perfect on-the-go healthy snack. Full of monounsaturated fat or "good fat." We dehydrate our chips at low temperatures in order to make sure to keep all the natural superfood properties as well as the flavor and consistency of avocados in tact. Eric Healy and his wife were in a search of a healthier lifestyle. In an attempt to reduce their sugar and carbohydrate intake, cut back on meat, and to find a healthy fat substitute for animal protein they came across a plant based diet. They discovered that eating plant based foods made them feel great, lose weight, and helped improve their overall health. What was missing was a great plant based snack that wasn’t fried in unhealthy oils. Enter: The Avocado. Avocado, with its numerous health benefits and unsaturated fats seemed like the perfect snack to fill their cravings. The only issue was it had a very short window of time that it was actually good before becoming overripe. Eric found that after dehydration the avocado became a crunchy snack that tasted rich and creamy and lasted for months! AvoLov was born from Eric’s desire to share this nutritious, healthy snack with everyone. We source our avocados from California, Mexico and Peru while maintaining strict environmental, agricultural and labor standards. We believe in creating super nutritious, delicious snacks while protecting the environment and farmers that produce the avocados.